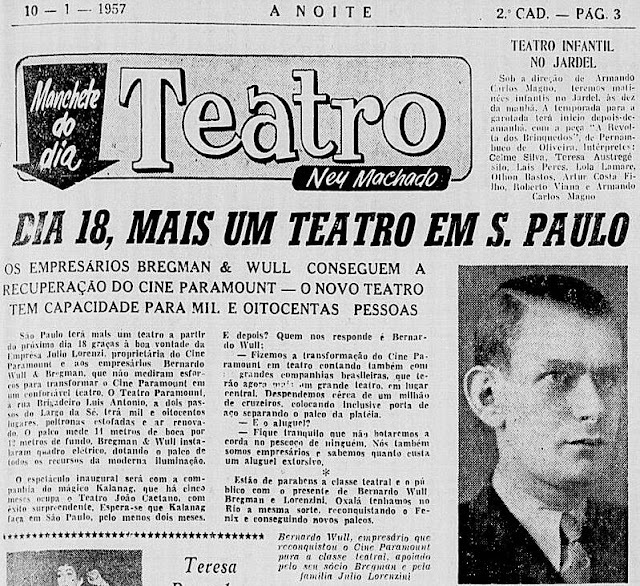 10 January 1957 - columnist Ney Machado from Rio de Janeiro's 'A Noite' tells the whole story how Sao Paulo was given a great present with the renovation of old Cine Paramount which was turned into a complete theatre now. It would re-open its doors on Friday, 18 January 1957. Impresarios Bernardo Wull Bregman (photo) and Julio Lorenzi put up the money for the renovation and managed the theatre now.